Just do this. 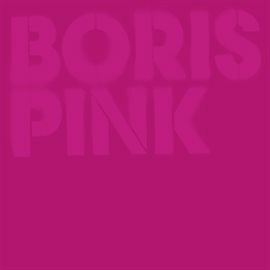 Go listen to the reissue of the MONSTER Boris album Pink. Boris is my current favorite band and Pink was my number one album, way back in 2006. I can’t overstate this: please go listen to Pink. This new version has an ENTIRE SECOND ALBUM of unreleased material. And the original album remains the very best punk / hard rock / metal(ish) recording of the last 15 years or so. Hoopla. Not now. But right now.